5.0 - Convenient and effective. I have been taking 5-HTP for the past month and have noticed a remarkable improvement in my mood and overall happiness. I have also lost 3 pounds! 5 HTP Plus + has changed my life. I had very severe anxiety and waves of depression. After trials of medication I decided to try a more natural approach and I can't imagine not having it in my life. My husband has noticed a huge change in my demeanor and I have overall sense of happiness with my days. 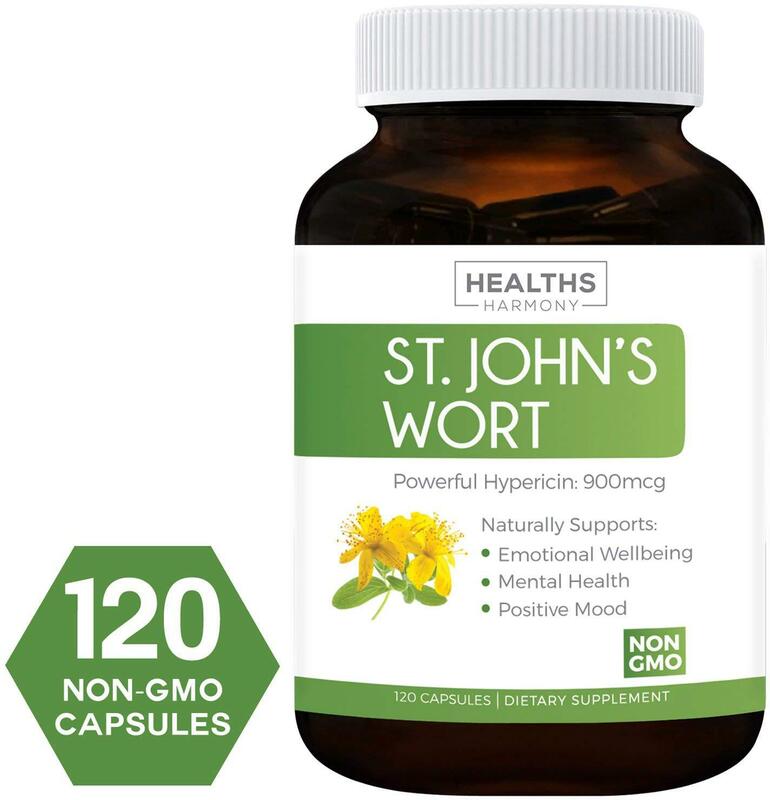 I am constagnly recommending this supplement to everyone I know who suffers with depression and anxiety. 5.0 - Sleep at last!! Stress at work wreaks havoc on my mental well-being and sleep. After a couple of days of taking 5-HTP Plus, I had a general feeling of happiness and well-being. Stressful situations did not cause me ANY stress and I am finally able to sleep!!! I have missed being able to sleep. So glad I made this purchase. I suffer from anxiety and sleepless nights. This product has helped me go to sleep easier and wake up with a feeling of happiness. I take one capsule before bed every night. This product has increased my overrall happiness. Allowing me to sleep better at night, treat other people with more positivity. It allows me to radiate my true self. I love the 5HTP product, not only does it help balance my moods but suppresses appetite as well. 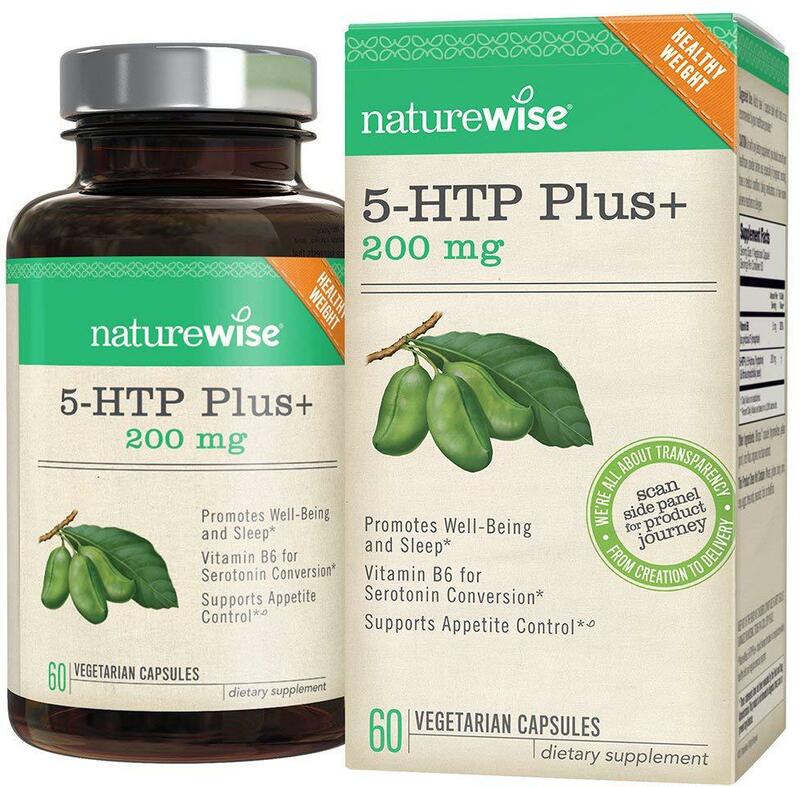 Nature wise is the only brand of 5HTP I purchase due to the overall quality. I have been using this product for a little over a year and plan to continue using for its benefits to my overall health and happiness. At work, we call it the "happiness pill". I read all the things that serotonin regulars and I was amazed. I really did feel like my mood improved. I work in Collections and altough I try remain happy at all times, this is definitely helpful. I like this product, I like to take it in the morning because it seems like when I take it at night I am sleepy the next time. 5.0 - A bottle of happiness! I have been taking this for 2.5 weeks along with green coffee bean extract and glucomannan capsules. This combination has helped me lose a few lbs during this time. The biggest difference I have noticed has been in my mood. Maybe I was slightly depressed or something, but since I have started taking this I have noticed that I am happy happy happy. I don't get irritated or angry as quickly and I am sleeping better. I am very pleased with this product! Highly recommend for mild mood swings and overall happiness in general. Will not go a day without it!! 5.0 - A healthy drug for me. If you're having a hard time and need some cheering up, or maybe a bit of happiness in your life, this supplement will make sure that happens. I am impressed. I started taking this to help with my mental fog. Just added it to my morning regimen and didn't think much more about it. After about 10 days I noticed my energy and mental outlook (happiness) had significantly improved. I can honestly attribute this to the Neuro Clarity! I don't know if it is really helping with my clarity but I'm too happy to care. 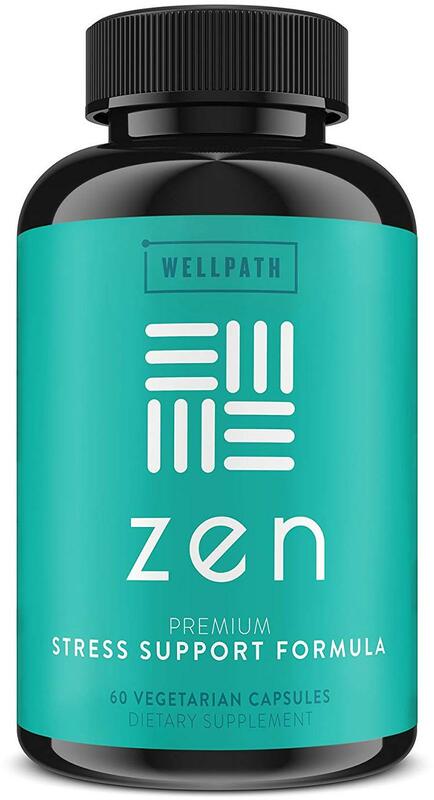 Even though I was prompted to write a review for this Neuro Clarity in order to receive a free trial bottle, I actually really like this product and feel great benefit from using it. I've only been taking it for 4 days but do get a feeling of well-being and happiness that I notice right away. Not a jittery or uncontrollable high that other stimulant-based supplements give you. I am thrilled to get another bottle for free after my original purchase and I plan to continue using this product if it keeps making me feel this way! 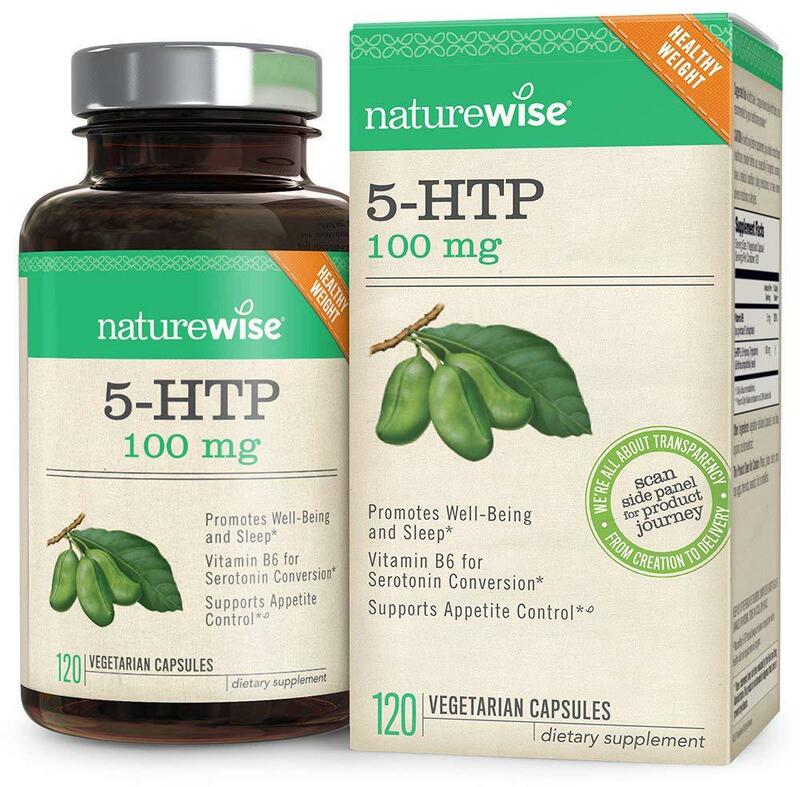 I like 5 htp supplements because they help me maintain a sense of calmness and happiness throughout my day. I take this supplement daily and have been for a couple weeks. It helps me be more functional and less stressed as well as it helps promote better sleep. I am a stay at home mom who is insistant on keeping a clean and organized house as well as providing fun and education for my little ones, of course stress comes with the territory. 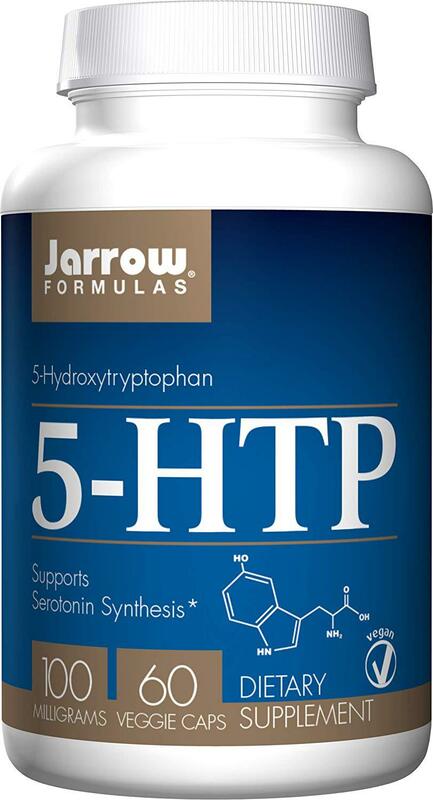 I've had a bout of near depression from getting in a life rut but 5 htp has helped me curve that mood and keep going. 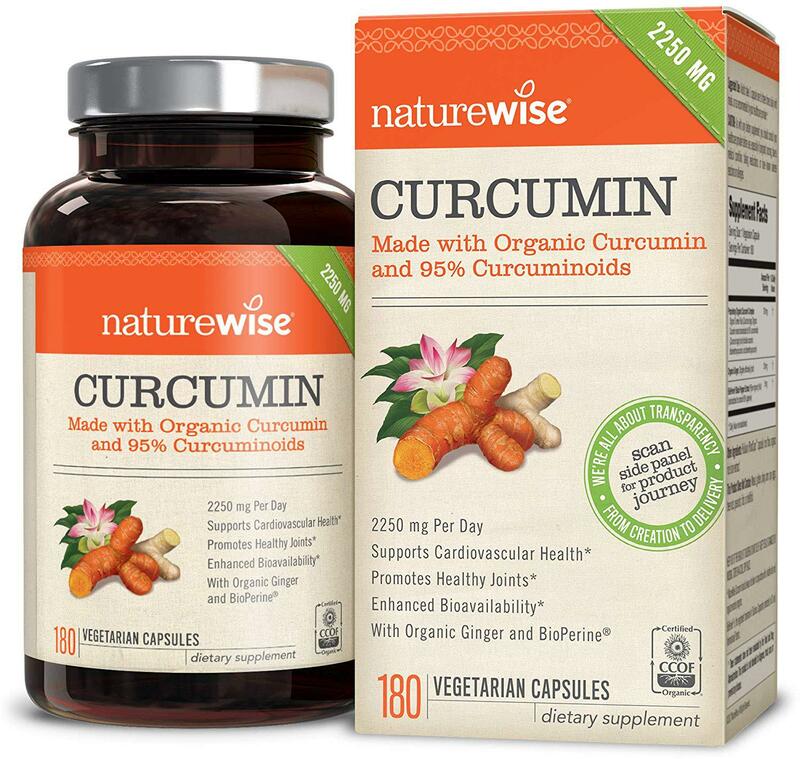 This supplement is easy to take with no adverse effects and its non habit forming. Its a time release supplement and works well although its not the best one I've tried. My 19 year old son has been taking 5- HTP off and on for the last few years. Honestly myself and both of my kids have given it a go. My oldest has some mild depression issues that come and go and some trouble getting enough rest. So this particular supplement was purchased for him. 200 mg is a good dose to help calm mood shifts, depression, help with sleep and anxiety. It makes me feel safer to have him use these supplements instead of strong prescriptions. When he takes them daily we both notice an improvement in his over all happiness, sleep and quality of life. When taken regularly we see consistent results and the 200 mg is the perfect dose for him. 5.0 - It works. No, really. Try it. This has made SUCH a difference in my day to day life. I was experiencing many low days, filled with anxiety and depression. It took about 2 weeks for me to notice the difference but since then I've been... Idk how to say it... Happy. And I've learned that happiness isn't jumping for joy all day every day, it's feeling content every day. Helps me have a normal outlook on life. I'm looking for the 5 HTP Dash button! 5.0 - Oh Rhodiola. Where have you been all of my life? Coupled with a couple caffeine pills I've made it through work with little to no sleep several times, with a smile. I wouldn't recommend doing this but we all know sometimes it can't be helped. I do take them daily for the happiness effect weather I'm tired or not. This has helped my mood and has not caused any side effects! I take it once a day, and I feel closer to happiness. My daughter and I both have been taking this supplement for exactly 30 days and we are amazed with the results from the very first day of consumption. I have not had any migraines for the month, sleep now without anxiety attacks, little bouts of depression are gone, a calmness has come over me, my overall deamenor is simply a happiness that I haven't felt in a very long time. All these positive changes with only taking one capsule a day. I'm wondering if I could do cartwheels again if I took 2 capules per day. It's a miracle in a capsule for us! I use this along with SAM-e and I've noticed tremendous increase in my stress management and happiness. For me this is an indispensable part of my daily routine. 5.0 - but I'm not taking a star for it - the product is great. This supplement contains the largest amount of seratonin concentration of all supplements. I have taken the supplement as instructed (one per day) and notice a difference, but only if I don't take it. It is a little boost to overall outlook possitivity, not "happiness," which is up to each of us. This helps in that way. 5.0 - If you are struggling, give this supplement a chance! This product is nothing short of a miracle. I was suffering from very apparent depression, and anxiety for a period of about 4 months. I had trouble finding purpose or happiness within my blessed life. As a last resort before turning to Western medicine (which b/c of it's addictive nature, I try to avoid) and boy was I surprised. Within 2 weeks my moods, and anxietoes have lifted and day to day stress has become very managable. I am feeling Joy regularly again, and the freedom that accompanies it is incredible. I take 2 at the beginning of everyday along with a Vit.D3 and a multivitamin, and the difference is night and day. No side effects as of yet. 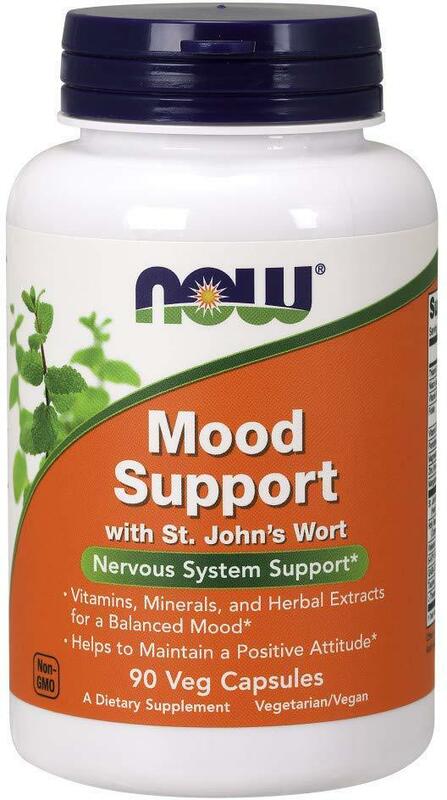 i can always tell how much better my mood is when i take my st. johns! it's really been helping my overall happiness. will continue to take for sure! These appear to work after taking consistently for a couple weeks. Not a huge boost in happiness, more just a relaxer. Or it slows your mind down enough to give you time to think before you act if you are quick to anger. Recommended dosage is 2 times a day but taking that second pill makes me feel exhausted so I only take one a day. Also its a good idea to take with a multivitamin that is high in vitamin B if you do get tired from this. The vitamin B will counteract the drowsiness effects. Since taking mood support I do feel like I am in a better mood and that my once short fuse is longer. I was feeling pretty low about a year ago when I started taking these, but I also changed a lot of other things about my life. I started working out regularly, I cut back on my drinking, and I read some self esteem books. I realize now I was depressed and suffering from low self esteem. I am much happier now, I am unsure how much the mood support is contributing to my new found happiness. However, I do admit that once I quit taking them for a few days I do seem a little more depressed, anxious, and irritable. I will continue taking them. I love this product and have been taking it for 2 months straight no miss in dosage. It has changed my life. I have little to no stress, anxiety, or depression and I have an overall feeling of well-being. I would recommend this product to anyone that struggles with stress.